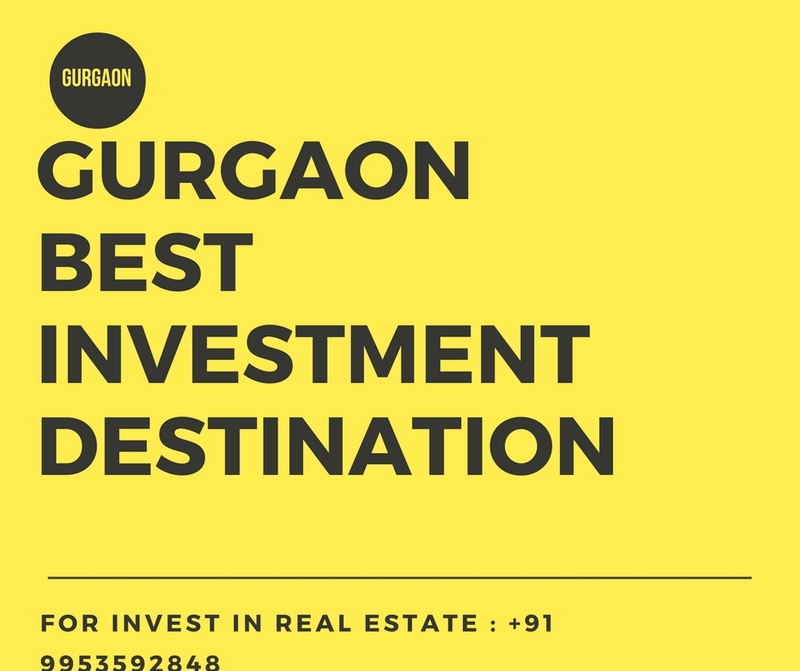 Gurgaon is an incredible city and a part of the National Capital Region that has a lot to offer all of its inhabitants. Also known as one of the largest IT and financial hubs in the country, this city keeps developing every single day. A life in Gurgaon is simply irreplaceable. Central Park 3 Flower Valley is the latest township project by Central Park that offers immense luxury and comfort that you just cannot resist. Extended over a land of 500 acres, this township development contains beautiful residential spaces of different configurations that include apartments, villas, independent floors, plots, and suites. 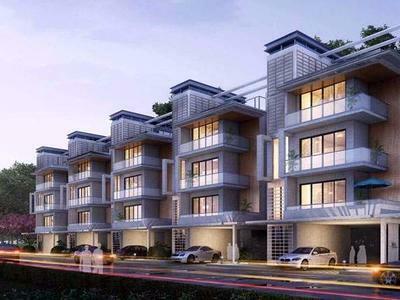 While suite, villas and apartment area sizes start at 1093 sq. ft. and go up to 5991 sq. ft. that is Named as ‘The Room’, ‘Flower Valley’ Cerise Suites. Without a doubt, you can find the perfect residential space that you have always been looking out for without any worries and within minutes. Central Park 3 Flower Valley Gurgaon is a state-of-the-art township development that is filled with internal and external amenities of divine luxury that will satisfy all our senses. You will find excellent residential spaces that are spacious, provide beautiful natural lighting, premium doors, sleek windows, high-quality flooring, modular kitchens, perfectly located electrical sockets, safety features and a lot more. The external amenities at this township are world-class and nothing short of spectacular. They include fully air-conditioned floors, a meditation centre, gymnasium, swimming pool, golf course, multiple sports facilities and a play area for kids, daycare centre, multipurpose hall, massive clubhouse, shopping centres, IT facilities, café, fancy landscape garden, open space, organic farming, efficient power back-up, 24hour water supply and high-end security. This township development is like a mini city on its own. 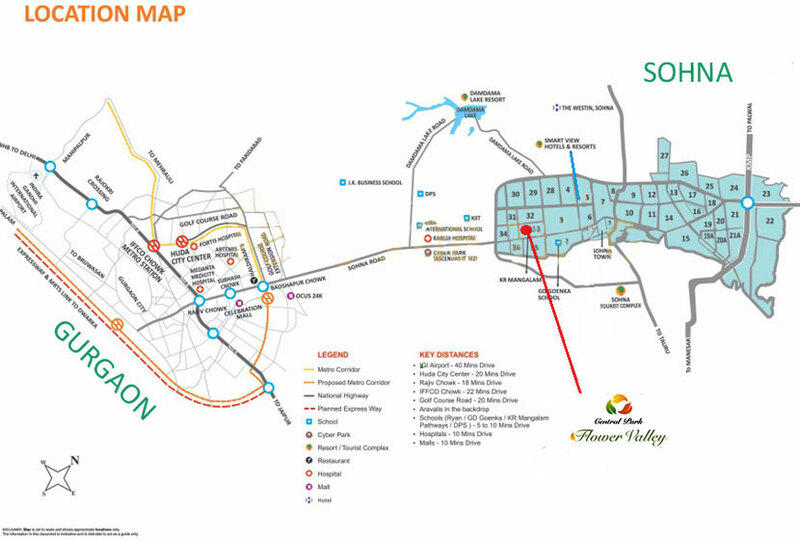 Located at Sector 32 and 33, Gurgaon Sohna Road, Central Park 3 Flower Valley Sohna comes in close proximity to a number of landmarks and offers beautiful convenience that you will be happy to experience. You can access plenty of places like schools, universities, medical centers, hospitals, cafes, restaurants, cinemas, shopping centers, malls, supermarkets, convenience stores, banks, ATMs, expressways, public transport and a lot more within minutes and without the need to travel long journeys. 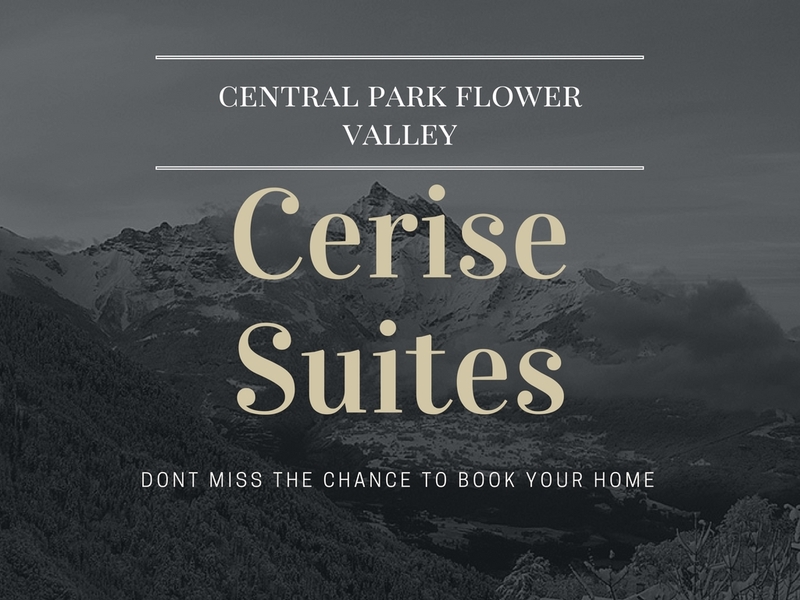 Starting at a price of Rs.60.36 lakhs and moving up to Rs.3.29 Cr., the Central Park 3 Flower Valley Price is affordable and totally worth your savings for a new luxury apartment, or even an investment for that matter. This is the ultimate township where you can experience a life of super-luxury and comfort without burning a hole in your wallet. You can opt for multiple payment options according to your convenience and also avail fabulous home loan facilities and NRI services. A top real estate developer, Central Park has recently launched a residential Tower in Gurgaon that gives one an opportunity to invest in 2 BHK Independent floors. This project is called as “Central Park Cerise” and it is situated in Sohna, Gurgaon. The location of this project is emerging brighter day-by-day. Cerise offers 2BHK low rise air-conditioned Suites with party terrace and elevator in different sizes that start from 1210sq. ft. to 1255 sq. ft. The residential property at Sohna offers a wide range of choice for different budgets. For example, if your income is below Rs. 1 Lakhs, then you can’t possibly think about buying a property in Delhi & Gurgaon, but Sohna offers wide options to suit every budget. After experiencing a boom in the residential projects on the Sohna Road and Golf Course Extension Road, the recently introduced Master Plan has earmarked this region, and it is all set to come forward as the next real estate hub for residential & commercial developments. Cerise Floors is a new residential wing of reputed project Central Park 3. Cerise Floors Sohna price starts from Rs. 61 lakhs that are quite affordable for each end buyer. This project is very close to IGI Airport that is a famous location in Gurugram. Cerise Floors is named against the color “Cerise”, which is a light clear red color. These Suites are a class of housing with more space than a run of the normal apartment’s room. Located at Sector - (32-33), Sohna.